Indulge in George Sand’s ‘elegant lifestyle’ at the five-star Relais & Châteaux Rosengarten – with good company and in a pleasant ambience. The place to be at the five-star Relais & Châteaux for a celebration of utter indulgence is our bar and smoking lounge. 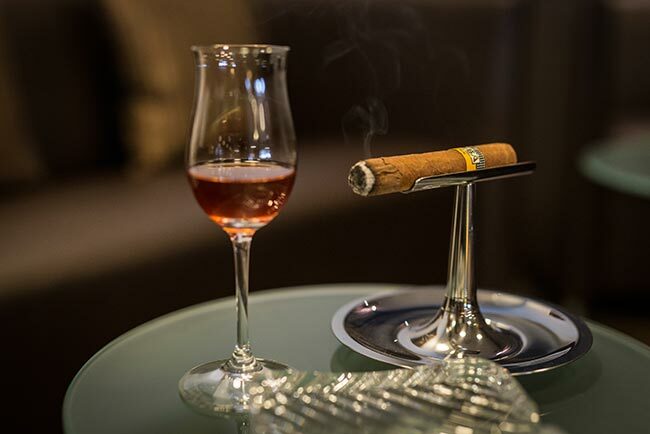 Take a wonderful whisky, something sparkling from our unique Champagne collection or a fine spirit into the smoking lounge and enjoy a fine cigar with your liquid pleasure. We stock an exclusive selection in our humidor – we will be pleased to provide advice.